Frontloading HQ: Earlier Convention Forcing South Dakota to Push Presidential Primary Up? Bob Mercer, reporter with Aberdeen American News, raises the question. First of all, the answer seems to be no. Mr. Mercer details well the history of South Dakota legislators moving the presidential primary in the Mount Rushmore state up to the tail end of February (from June) for the 1988 cycle and maintaining that position through 1996. The motivation for the February move, as it always seems to be, was to garner more attention for South Dakota and South Dakota issues. The problem was that the earlier primary was not an effective draw to those candidates actually seeking the nominations. That precipitated a return to June and consolidated presidential and other primaries. 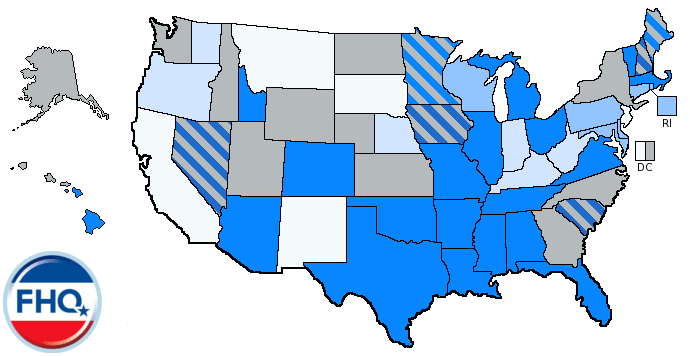 From 2000 onward, South Dakota has been lumped in with a small group of states at the very end of the primary calendar. That did not mean, however, that South Dakota has not revisited the idea of an earlier presidential primary in the time since. Like a great many states in the lead up to the competitive -- on both sides -- 2008 primaries, South Dakota considered legislation to shift the presidential primary to an earlier date on the calendar. Bills met resistance in the legislature and died in both 2006 and 2007, as Mr. Mercer describes. 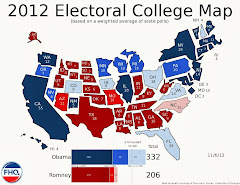 The 2016 presidential cycle offers, perhaps, a new wrinkle to the date-setting calculus in the later states on the calendar. That decision-making process is typically leave well enough alone if not non-existent. States at the end of the process tend to have consolidated primaries and often find the cost savings associated with one contest difficult to give up. That is no different in South Dakota. 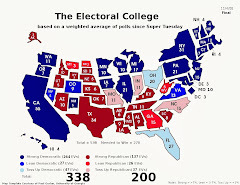 What is different for the 2016 cycle is the push from the national parties to schedule earlier national conventions.1 But the question Mr. Mercer poses from the South Dakota perspective is different now that the two major parties have scheduled July conventions than it was when the RNC was considering a June convention. A June convention really would have exerted some pressure on June primary states to consider earlier contests. That pressure -- mostly from the RNC side -- would have come in the form of a kind of backwards delegate selection process. For the logistics to work -- convention credentialing of delegates, etc. -- delegates would have to be selected, presumably via a caucuses/convention process, before the individual slots would be allocated to particular candidates based on the primary results.2 That can make the process feel more top-down than bottom-up to rank-and-file members of a party/primary voters. 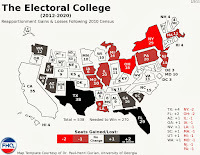 But with June off the table and two July conventions, this appears to be less of an issue for the South Dakotas and Montanas and Californias of the process, all the way at the end of the primary calendar. July conventions are not anything new. In fact, July conventions for the party out of the White House were the norm as recently as 2004. Sure, the Republican National Convention is the earliest since 1980, but there were a number of contests on that first Tuesday in June (an equivalent amount of time, then as in 2016) ahead of the convention. Will South Dakota move? Indications at the state legislative level seem to suggest no according to Mr. Mercer. The legislators that sponsored bill during the 2008 cycle are not actively pushing legislation and do not foresee any push. Beyond that, there is not any added pressure from the national parties. The conventions will be earlier in 2016, but not in June; a time that would really have forced the primary movement issue in South Dakota and other states. 1 The Republican National Committee was responsible for the majority of this push, considering June and July convention times before settling on a convention in Cleveland during the week of July 18, 2016. In a reactive move, the Democratic National Committee then set the date of their 2016 convention for a week later in a location yet to be determined. 2 This sounds worse than it probably would be in practice. The reversing of the selection and allocation processes would only be consequential (controversial) if a nomination race was still competitive at that late point in the calendar. The odds are against that, however.